FREE O.B. 18-Count Tampons Box! You are here: Home / FREEbies / FREE O.B. 18-Count Tampons Box! Here’s another great FREEbie for you! Get a FREE O.B. 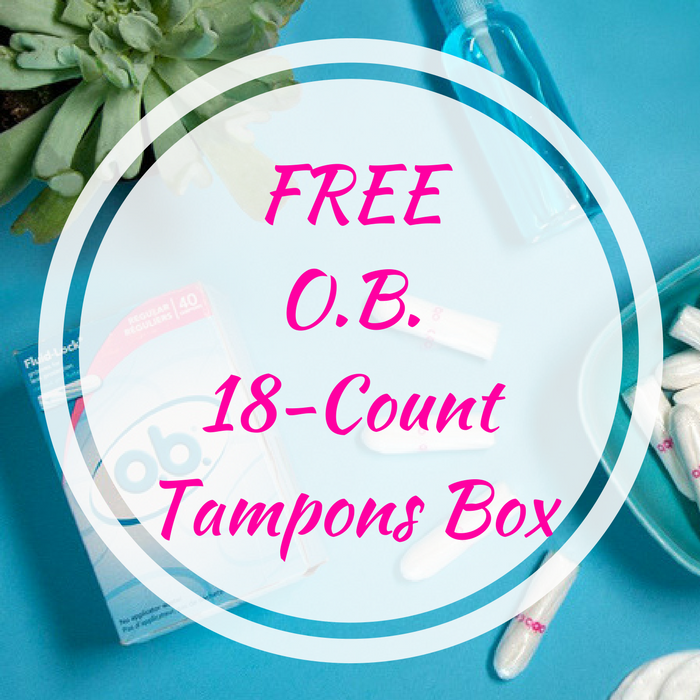 18-Count Tampons Box by simply answering 2 questions and entering your name and mailing address. Please allow 10-14 weeks for the delivery!